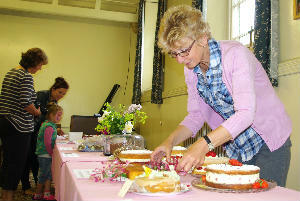 The Big Bake Off held in the Church on Saturday 22nd June was a successful event. The day raised over £850.00 after expenses. 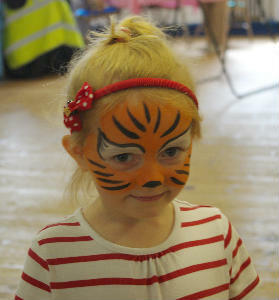 We had hoped to hold the event outside but the weather did not allow that , so all activities took place in the Lower Hall. There was a good response to the baking competition especially from the children with the playgroups and Kings Mill School taking part. 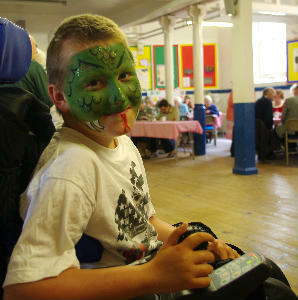 Fun was had making chocolate lollies; face painting and a colouring competition. Many thanks to Mrs Mary Henry for her sugar craft demonstration and also Catherine for her microwave chocolate cake demo. Church members very generously provided plenty of home baking for sale along with the ladies of the special baking team who provided many cakes, buns and tarts. Refreshments were served all day keeping the kitchen team very busy. A huge thanks to all those who worked so hard and generously donated items, money and time. A lot of effort went into this event to raise money for the redevelopment project.